A Sarawak NGO has called on newly appointed MACC chief commissioner Mohd Shukri Abdul to reopen the file on Sarawak governor Abdul Taib Mahmud, and to raid the former chief minister’s home. Movement for Change, Sarawak (MOCS) leader Francis Paul Siah in a statement to Malaysiakini today reminded the new MACC chief that a report was lodged against Taib in March 2011. He said MOCS, which had lodged the report, wants the case reopened now if it has already been closed and forgotten. According to Siah, after the report was lodged, then MACC chief Abu Kassim announced that Taib was under investigation. “It has been more than seven years now, and there has been no update on the Taib file,” Siah said. As MACC is now on a massive anti-corruption drive, the agency must also move fast against Taib, who is known to be still wielding immense power in Sarawak today, Siah added. 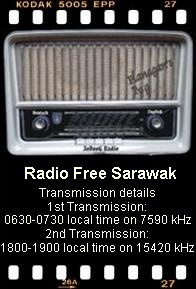 “It is a known fact that Taib is still giving instructions to Sarawak Chief Minister Abang Johari Openg from the Astana. “One recent example is the fielding of his youngest daughter, Hanifah Taib, as the BN candidate for Mukah during GE14 against the wishes of the Melanau community in the constituency. “Taib gets whatever he wants in Sarawak, even up to this day. “Make no mistake about it. He could even ‘transform’ his Syrian-born wife, Ragad Kurdi, into a Melanau, thus allowing her to apply and own millions of hectares of plantation land because of her new bumiputera status”, the MOCS leader claimed. Ragad was also allowed to vote in the recently concluded general elections. Siah added the recent action taken by Swiss-based NGO Bruno Manser Fund (BMF) against Sakto Corporation, a Canadian-based company headed by Jamilah Taib-Murray, the governor’s eldest daughter, for alleged money laundering should provide sufficient grounds for MACC to act against Taib and members of his family. 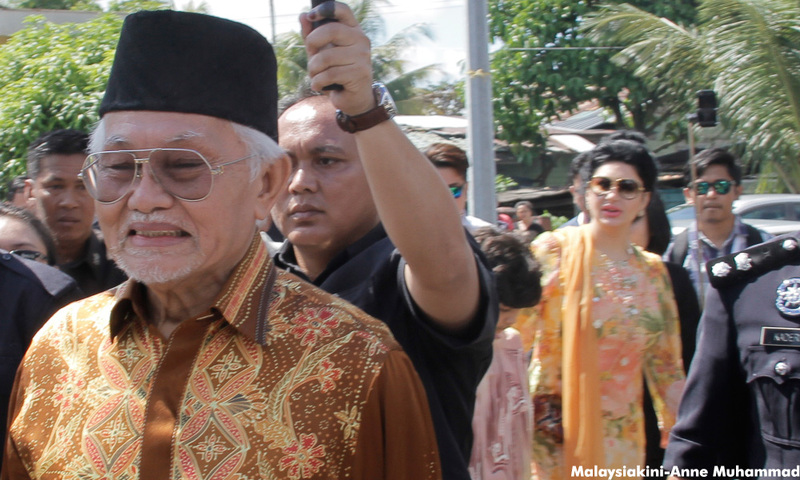 “In fact, it is also time for the MACC and police to raid the many palatial homes of Taib in Kuching and abroad, just as they had done so with those of many VVIPs, including Najib Razak and former Sabah chief minister Musa Aman”, he said. The MOCS leader also hoped that the new MACC chief will send a director with “bite” to head its Sarawak department. Siah expressed his disappointment that the last time he led a MOCS delegation to the MACC office in Kuching, the then director only sent one of his officers to meet them. “I don’t know why he was so afraid to discuss a matter of such grave importance concerning the chief minister with us. “We need a new MACC boss in Sarawak, one able and prepared to tackle the bull by its horns”, he said. Congratulating Shukri on being hand-picked by Prime Minister Dr Mahathir Mohamad to head the MACC, Siah said this must be due to his reputation as a fearless, honest and tough graft-buster.